Union 53044 Euro Security Rose suitable for use with euro cylinders on timber doors where bolt through fixings cannot be used e.g. the lock case is not pierced for bolt through furniture. Provides additional protection against attack. 26mm screw centres. Supplied in pairs. 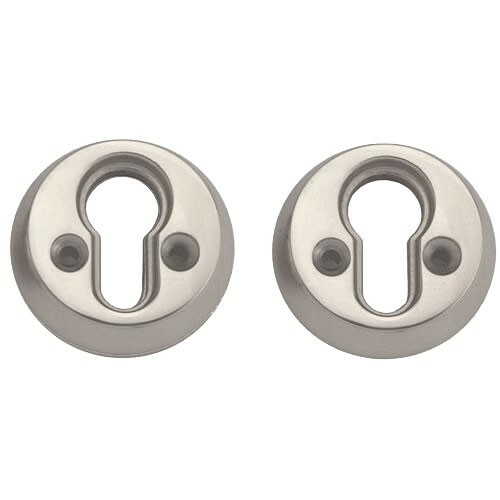 NOTE, we recommend the ordinary cross head timber screws supplied with this item be replaced with one way security fixings on the outside (not supplied) or consider replacing the lock case with one that supports bolt through fixings.